Where the 60’s were a time when the big names of Marvel joined it was during the 70’s where the team started taken in smaller known characters. Longtime member Black Widow joined the team in more of an effort to make Daredevil jealous. Mantis began staying at the mansion before she was made a full time member alongside Swordsman. Beast became the first X-man to join the team (Quicksilver wasn’t a X-men yet), alongside with Hellcat and Moondragon. Two-Gun Kid became the first official reserve member who didn’t officially become a full time member. The team asked Ms. Marvel (Carol Danvers) to join when Henry Guyrick forced them to make changes. He also forced the team to include Falcon as a way to include the minority requirements. Figure wise this is where the number of figure we need start to increase. We do have quite a few but we are missing 3 of the 8 new members, when though we do have one of the there but she is in her MCU version so she doesn’t count. Click on the name to go to the Characters Pages if available. 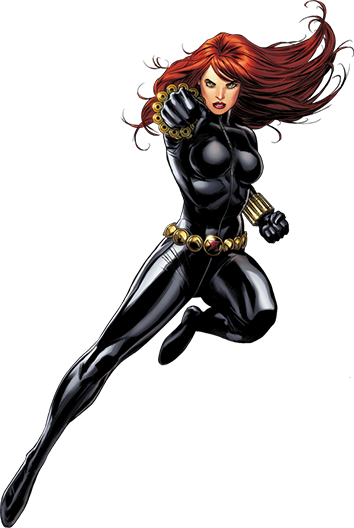 Long time member of the Avengers, Black Widow started out as a spy for Russia. She was sent to spy on Tony Stark, even tricking Hawkeye to help her. However when Hawkeye joined the Avengers, she also tried to defect only to be kidnapped by the Red Room. She was rescued the Avengers as defected to the west where she became a costumed hero. She teamed up with Spider-man, Hawkeye and later Daredevil, who she began a relationship with. While looking for help from Hawkeye, who had just left the team and attack DD, The Avengers requested help from DD and Black Widow, who decided to join the team, but mostly as a way to make DD jealous but left soon after to return to him. She eventually rejoined the team even leading it when the world believed the Avengers dead after the Onslaught saga. The X-men to join the Avengers, Beast had just become the blue furry person we know today. Because of the sudden change, he had a hard time adjusting. He joined the Avengers he was given probational membership but was made a full member later. In the Avengers, he truly began to embrace his physical change and became the heart and jokester of the team. He also began a lifetime friendship with Wonder Man. Even though he returned to the X-men he still retains his Avengers membership, serving as both a reserve member and sometime serving both teams (or more) at once. 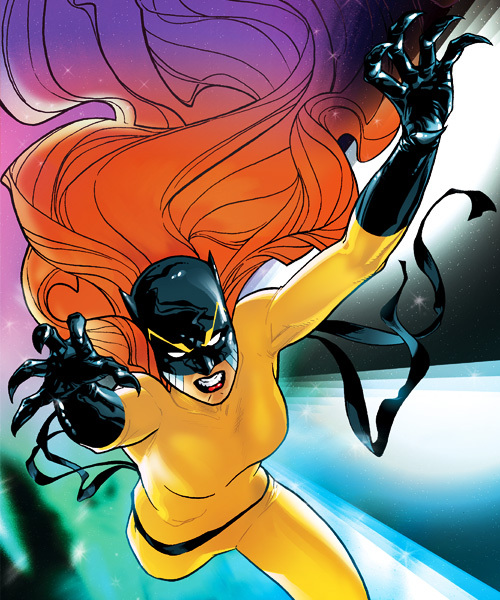 Patsy Walker actually predates the Marvel comic when she appears in her “mother” comics. Because of this she had a love of comic and superheroes, even wanting to become one. When she discovered that her collage professor was Beast, she forced him to make her a hero. He gave her Tigra’s old Cat costume. She went after him to the Avengers mansion where she was eventually given full membership. However, her term was short lived. The Avengers had a problem. Henry Guyrich was imposing strict rules on the Avengers like taken away their flight protocols. The Avengers also had to flight Korvac with the Original GOTG. Trying to boaster their forces, they invited Ms. Marvel to join the team. She remained with the team until she became pregnant with Marcus and angrily left the team. She later rejoined the team after the Onslaught saga as Warbird. She left the team again later to recover from alcoholism but eventually return as Ms. Marvel and later Captain Marvel, eventually leading her own team. One more of the rules that Guyrich forced was that the team had to include someone from a minority race. He forced the team to have Falcon join the team. This cause tension with the group but he eventually earned his place in the team. When these rules were lefted, he left the team. He would eventually rejoin the team and became a proper member. He later served as team leader as Captain America. Why? : Mantis has recently joined the MCU as the newest member of the GOTG. This thus makes it extremely likely that she will eventually get a comic figure at some point. And while you could use the BAF that came in the second wave of GOTG Vol 2 line, it is not comic book accurate or near a design used in the comics. Why? : Moondragon is Drax’s daughter and was an important part of Mantis’s Celestial Madonna arc in the Avengers. There even a rumour that she is part of a future wave of Avengers. Thus if they do do her then they should have her as a swap with Mantis. Why? : The time travelling cowboy has been forgetten for a long time. Hell the last time he was seen was in the comedy of She-Hulk and even then he was left to roam America. Unless Marvel want to reboot the Western brand of their Marvel Comic, we won’t be seeing this guy in any figure form.